Lancaster has proven himself over and over again in the consistant quality of offspring he produces. Hazel of Cabin View is a spirited, yet friendly female with extreme genetic power. 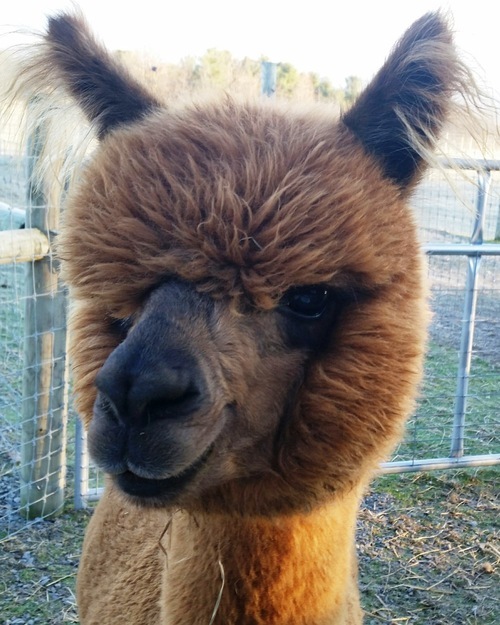 Her fleece is a joy - bright, fine, and crimpy with an exhilarating handle. 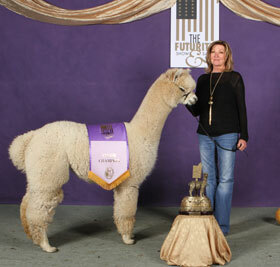 She stands proudly and prances into the ring, anxious to show everyone what a real alpaca should look like. 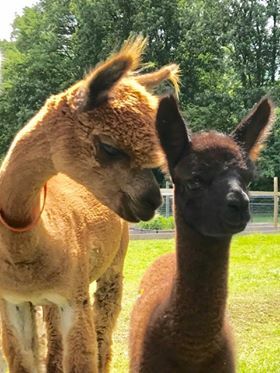 Her dam is Liberty Belle a beautiful dark brown female with impressive lineage including Legacy’s El Duro, 4 Peruvian Legacy, and the infamous Dark Shadow. 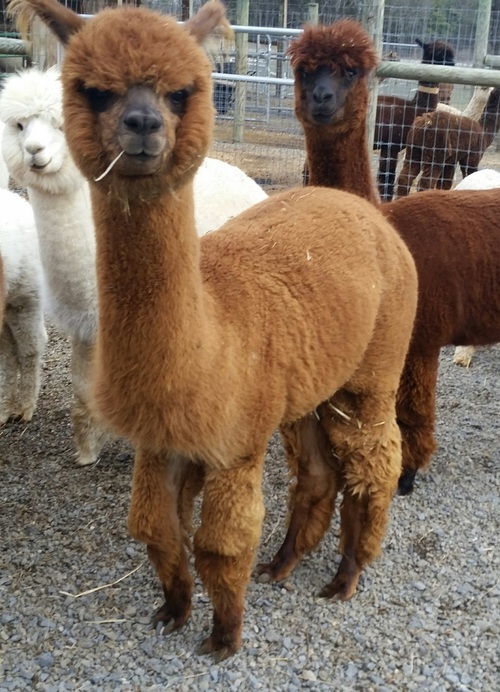 Hazel's sire is none other than Peruvian Lancaster. 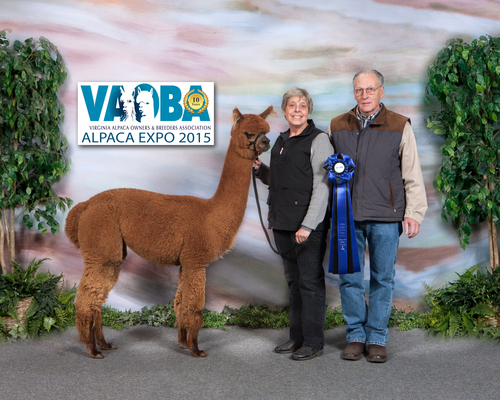 Not only is Lancaster's fleece consistent but so are his show winnings. He won 14 blue and the coveted Fawn Male Color Championship at MAPACA '04. Lancaster has been called, by more than one judge: "the total package". Lancaster has proven himself over and over with the quality of his offspring, and Hazel is no exception. We are really pleased with how Hazel has grown into a fine young lady - with perfect conformation and a nice disposition. Hazel's first cria was a 21.6# baby girl. Tabitha is big, bold and beautiful!!!! Hazel's second cria is a 23# white baby girl out of XXXtreme Xclipse.